Mysterious and visually stunning, seeing the well-preserved Inca city of Machu Picchu is a trip of a lifetime. But a trip to this beautiful part of Peru shouldn’t only be about seeing Machu Picchu. 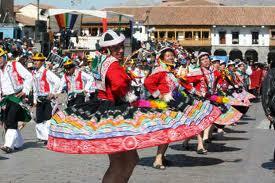 Here are five things to do in Cusco other than to visit the famous Machu Picchu. 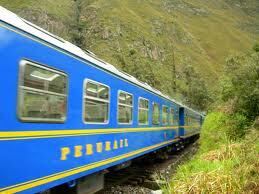 Travelling by train is an amazing way to see Peru. The most convenient way to get to Aguas Calientes, the community at the foot of the mountain upon which Machu Picchu is perched, is to hop on a train. It’s an unforgettable experience—picture the fast-flowing Urubamba River with its green embankments, craggy peaks of the Andes mountains high above, and Inca ruins spotting the countryside. Opt for a late afternoon itinerary to catch the sunset and get an early start at Machu Picchu the next morning. Most trains leave/arrive at Ollantaytambo which is well worth a visit. Ollantaytambo is the starting point for the Inca Trail and has Inca ruins of its own. Insider Tip: Land a seat on the left hand side of the train to Aguas Calientes and on the right on the way back; you’ll get the best views from the train’s panoramic windows. And be sure to buy your ticket to Machu Picchu before you book your train trip as tickets to Machu Picchu are limited and can sell out. Being let off a bus at the entrance can make you feel like you missed out on the adventure of hiking the Inca Trail. If you want to earn your visit to the Inca city but don’t have three days to spend on the trail, opt to hike Huaynapicchu, sometimes called Wayna Picchu, the sugarloaf mountain that towers above Machu Picchu. This arduous, vertiginous hike up a steep, narrow set of Inca-carved stairs takes between 2 and 3 hours roundtrip. Only 400 people are allowed up Huayna Picchu per day at two entrance times (7-8 am and 10-11 am) and admission must be purchased at the same time as your entrance ticket to Machu Picchu. 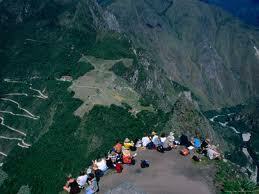 Note: you must buy your Machu Picchu plus Huayna Picchu ticket at the same time, you cannot add on Huaynapicchu later. If you plan to hike Huaynapicchu, book tickets ahead of time. Aside from the impressive quad burn that says you’ve been there, done that, you’ll get an amazing new perspective on Machu Picchu from the various mirados (landings) along the trail. Insider Tip: Treat Huayna Picchu like any other day hike and bring water and snacks but don’t overburden your pack. Take it slow due to the altitude. Wear hiking boots, sunscreen, and a hat and dress in layers as mornings can be chilly but the afternoon sun is unrelenting and there is very little shade. Most importantly, don’t forget your camera. Bonus: Bring your passport with you to Machu Picchu—they’ll stamp your passport once you descend Huayna Picchu and one when you leave Machu Picchu. Under an hour from Cusco, there are indigenous communities that preserve an ancient way of life few visitors are granted access to. 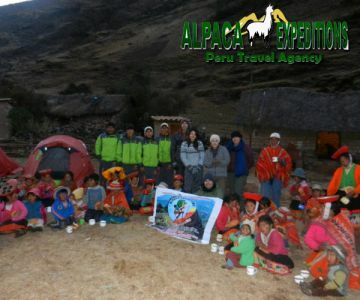 Alpaca Expeditions actually visits one of these villages during the Lares tour and spends a lot of time with the children, helping them with providing school supplies and other treats. The additional income these communities receive via limited tourism allows them to continue to live in a traditional manner. Visiting them gives a lasting impression of a quickly disappearing way of life and really adds depth to any trip. Insider Tip: Be sure to bring cash in small denominations of nuevo soles to purchase hand-woven dolls, textiles, bracelets, bags, and belts from the community of weavers. Sample Local Food and Visit a Market For a slice of Peruvian life, head to any produce mercado (market)—there’s one in virtually every town. You’ll find only-in-Peru fruits, like aguaymanto (gooseberry), cherimoya (custard apple), and lucuma (eggfruit) to name a few. Quinoa, a grain that has made its way to North American shores and is touted as a super food, comes in a variety of colors and is widely available here. Some local specialties to try: Ceviche, typically made with raw river trout bathed in lime juice, which “cooks” the fish, hot pepper, red onions, cilantro, and topped with choclo (corn) and sweet potato cubes. Pachamanca, a traditional dish of marinated meat and potatoes cooked in a hole in the ground lined with hot rocks. The meat is first marinated in Andean herbs such as chincho, hierba buena, and paico and is wrapped in banana leaves. 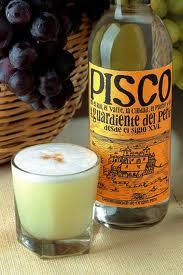 You can’t leave Peru without trying a pisco sour, the national drink made with pisco brandy. There are many opportunities to learn how to make it (2 or 3 shots pisco, 1 shot lime juice, 1 shot simple syrup, 1 shot egg white, shaken with ice, dash of bitters) and discover pisco macerations, which include everything from local fruits like aguaymanto to coca leaves. Locals drink coca tea and chew coca leaves to cure soroche (altitude sickness) but the coca leaf is also held sacred and used in spiritual rites. Attend a festival with colorful costumes, marching bands, religious processions, and fireworks—when Peru celebrates it’s a sight to see. Cusco’s Corpus Christi festival in June is a deeply religious affair with mass in the Plaza de Armas surrounded by fifteen statues of virgins and saints. The statues are brought from churches in nearby districts, which come to Cusco to be blessed. In the early afternoon, the beaded, brocaded, 15-foot statues are hoisted onto the shoulders of teams of men and promenaded around the plaza, genuflecting at various altars and ending at the Cathedral. It’s a day-long party where the whole city crams into the Plaza de Armas to watch the parade, eat, drink, and make merry. Other spectacular local festivals include Cusco’s Inti Raymi festival on June 24, which marks the winter solstice, the Fiestas Patrias, Peru’s Independence Day on July 28-29, and Ayacucho’s Semana Santa (Holy Week) Easter celebrations. Insider Tip: Cusco’s Plaza de Armas has many restaurants and bars with a view of the action if you want to stay above the fray. Go early for the best views. When to Go: High season is June through September. January is the height of rainy season and the Inca Trail is closed in February. For near-ideal weather and manageable crowds, consider a spring or fall trip.